Want to get the latest news by email? Follow our blog! You can include travel perks when building a competitive employee benefits package by joining our affiliate network. 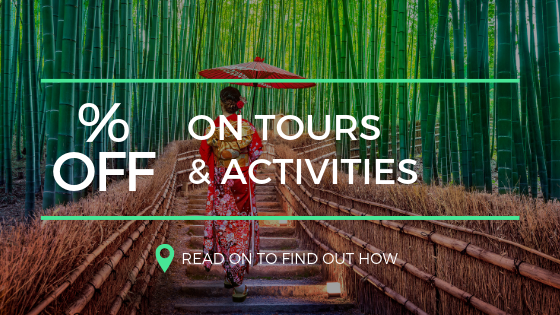 Enjoy exclusive discounts when booking tours and activities for your business and offer your employees these savings for their personal use as well. Joining a membership affiliate program can not only help you keep business expenses down and within budget but also give your employees who travel both for work or for leisure additional perks. And since employees’ needs are a foremost concern for HR, it is important to make official work trips and time spent away from home as stress-free as possible. Transportation to/from Airport: Securing airport and hotel transfers in advance allows your business travelers to travel hassle-free and saves them time from having to find their own way to the airport from their home and to their hotels when they arrive in a new city. Pre-booking airport transfers also lessens the chances of missing flights and having to accrue rebooking fees. VELTRA offers private and shared transportation servicing more than 200 airports and cities around the world. Airport Lounges: having a comfortable place to wait after the stress of standing in long lines and going through airport security is invaluable. Lounge reservations can be booked through VELTRA, allowing your business travelers time to relax during transit. Internet Access: Being connected and having a reliable and secure connection is essential when outside one’s own country for official business. Find SIM card and WiFi rentals with convenient hotel delivery or airport pick-up and drop-off option and your employees would never have worry about being able to reach the office, respond to emails and sending important files. Dining and Activities: For employees, having to pay for expenses that are routine to them when at home during their travel is a big frustration. If they frequent gyms or museums, they should be able to do so when traveling for work as well. Why not book them something for the evenings or let them enjoy some sightseeing if they they have to give up their weekends. If the full cost cannot be shouldered by the company, discounts will help reduce the cost and make it more affordable for employees. Personal travel: All these activities and more can also be booked by your employees for their personal travels. Discounts on thousands of VELTRA tours and activities are available and will be an attractive addition to your employee benefits package. Contact our affiliate program team and leave us your email address to learn more about getting discounts on travel activities for your employees. Check out our VELTRA Travel Hacks infographic below for some tips on what can make business trips for less stressful for your employees. Enter your email address to subscribe to our Insider Tips and get immediate updates. VELTRA is an industry-leading online travel agency specialized in tours, activities and things to do around the world. We offer more than 8,000 activities in 226 different destinations, backed by a fast and secure booking engine and a team of passionate experts. VELTRA Corporation is publicly traded on Tokyo Stock Exchange Mothers Market.